A picture is worth a thousand words – this is no exception. 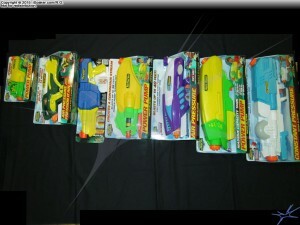 This picture of the known new products for the 2016 Water Warriors brand water blaster line shows the relative size distribution between the various models. 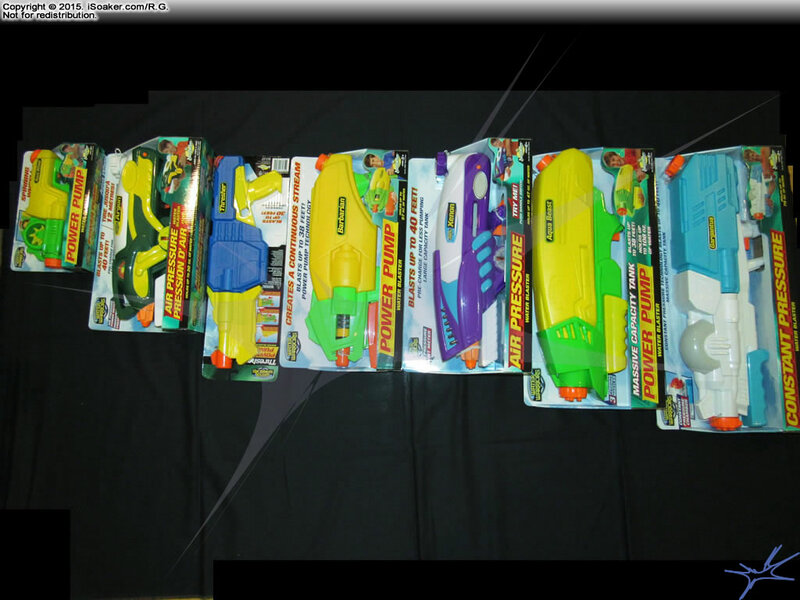 One aspect that I only thought of more recently is that while this gives a sense of the differences in the heights and lengths of the different water gun models, this picture does not do a good job distinguishing the differing widths. The Water Warriors Gargantua is definitely the longest, but it is not as wide as the Water Warriors Xenon (2016).